I’ll admit to a rush of emotions as we turn the calendar today to March 1. As of today, we will have lived in our current home longer than we’ve lived anywhere else in our 13+ year marriage – 2 years, 7 months, 1 day … and counting. We’ve moved quite a bit in our 13+ years of marriage. Philadelphia. Princeton, NJ. Doylestown, PA. Fairfax, VA. Arlington, VA. Saint Paul, MN. And now Carmel, IN. Some of the moves felt temporary – such as the married student housing apartment at Princeton Theological Seminary, our rented townhouse in Fairfax near my internship site, or even when we moved to towns where we were called as Associate Pastors (when you’re called to a congregation as an Associate Pastor, as my wife and I each were in our first congregations, there’s a sense that longevity isn’t necessarily in the cards). Yet even in these temporary places, great things happened. 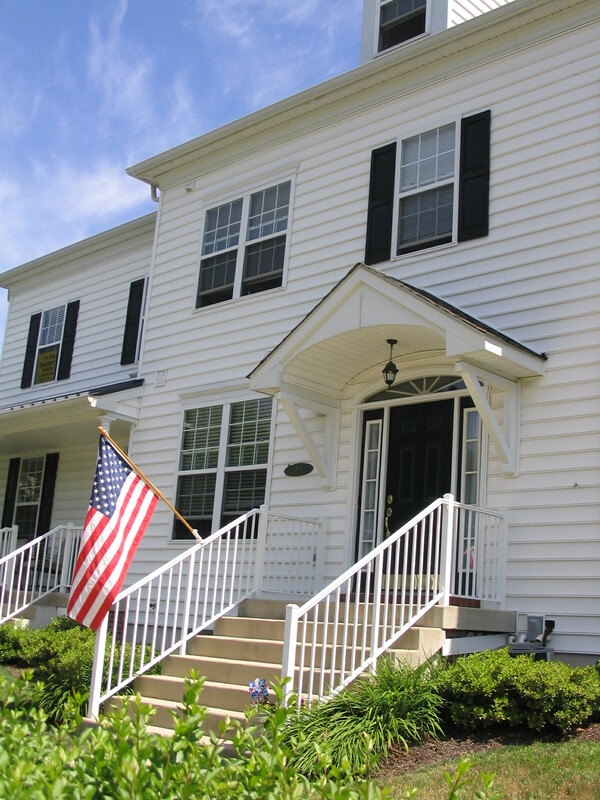 We brought our first child home to that apartment in Princeton, our second child home to Doylestown townhouse, and our third child came home to that townhouse underneath the approach to Dulles in Fairfax, VA. While we lived in Arlington, my wife was awarded her PhD and I was ordained. 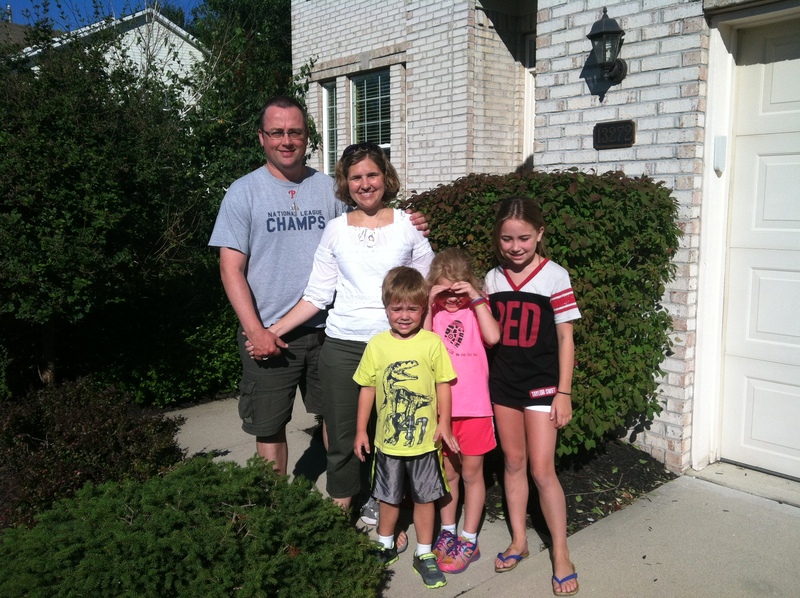 Our townhouse in Doylestown, PA.
Great things can happen in temporary places. Some of these places had the feel that they could have been longer-term. 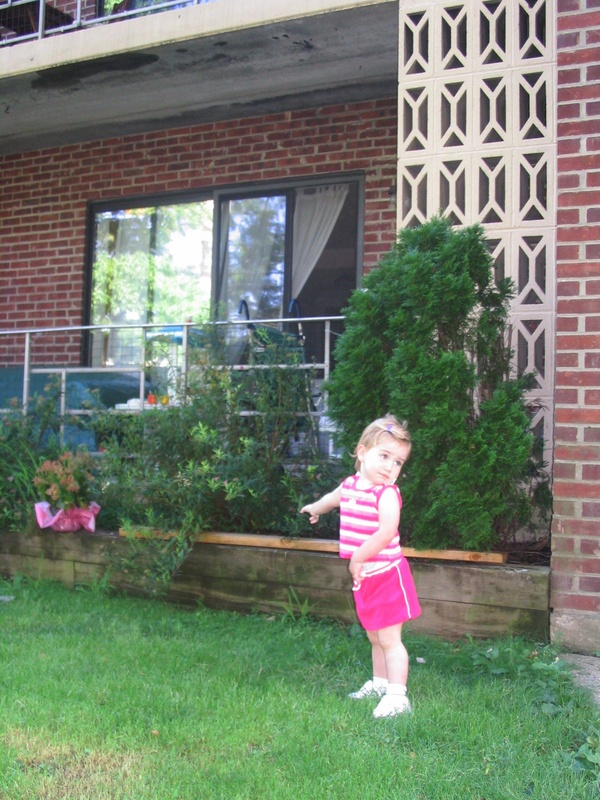 In both Arlington, VA and in Saint Paul, we lived in church-owned homes (a parsonage and a faculty home). Even if we didn’t expect to live long-term in those houses, I certainly envisioned many years in those communities. I found myself investing emotionally, imagining my kids’ first dates or prom photos or, gasp, becoming an empty-nester with my wife in those places. Yet the call of new opportunities kept us moving, and we went from the Philadelphia area (my family homeland for generations; my wife’s home since she was in middle school; and, where most of our extended families still live) to the DC area, where my wife went to college and with which I was already very familiar. Also, it was just a few hour drive from family and Philly food and Phillies games. 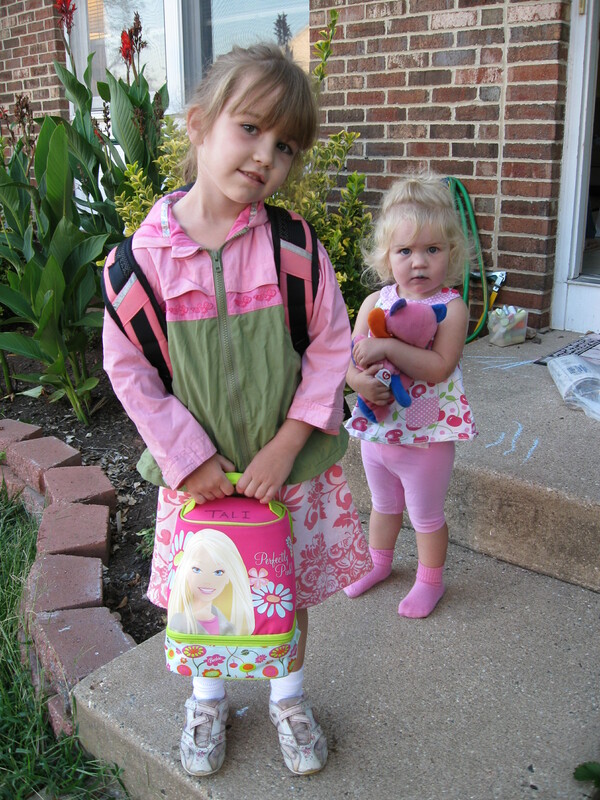 Tali and Cana on the stoop of our townhouse in Fairfax, VA.
We loved the DC area. The energy, the political and governmental culture, the Presidential helicopters flying overhead, the church members who work in jobs they can’t tell you about, the cultural diversity, the restaurants, the Metro, the monuments, the history, the wonderful other side of a city that most Americans are told is terrible but which we saw as beautiful and filled with faithful public servants. The move to Saint Paul was bigger – in terms of distance from family, culture shift, and climate. Still, we adjusted well to this – our fifth – move. We got used to the weather, became fans of The University of Minnesota Women’s Ice Hockey team, I loved my long runs along the Mississippi River, and we simultaneously enjoyed and scratched our heads at the way Minnesotans plow on even during crazy weather. The rule that kids had outdoor recess unless the temperature was below zero? Awesome. But then there was the day when schools were open on time 12 hours after a 14-inch snow, even though half of the teachers couldn’t get to school on time. Overkill. 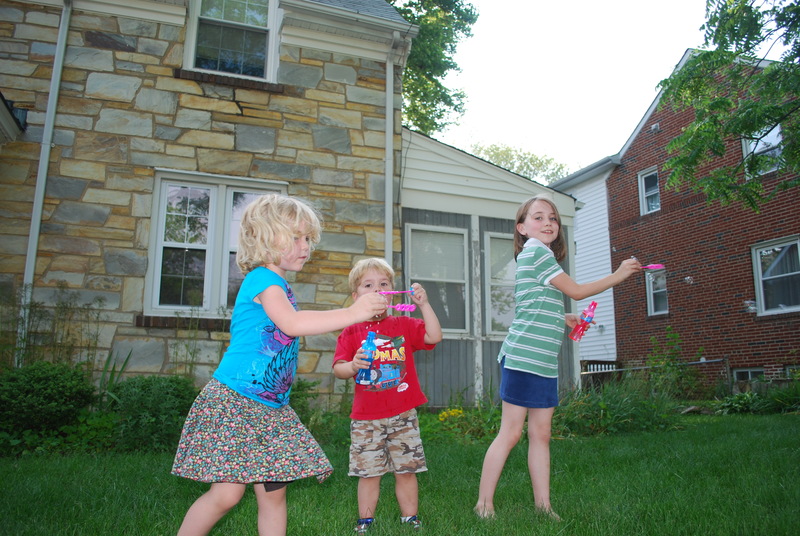 Kiddos playing on the lawn of our parsonage, Arlington, VA.
After two years in the faculty home, we signed a purchase agreement on a home not far from my church on the East Side of Saint Paul. We owned snow shoes. We were eyeing cabins to rent up on a lake. I tolerated the designated hitter for the sake of cheering for the Twins. 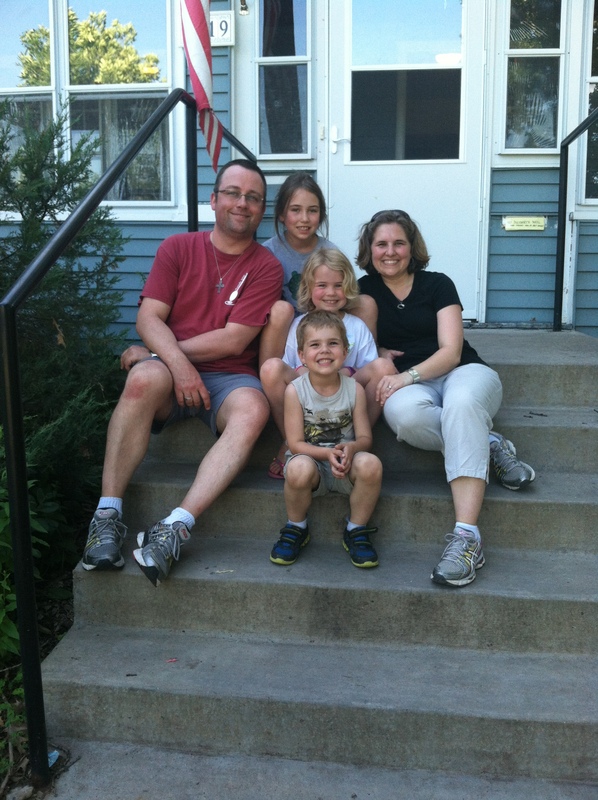 We were going to make the Saint Paul area our home for years to come. A once-in-a-lifetime job opportunity came our way, and we couldn’t say “no.” So after two years in Minnesota we moved to Indiana. We bought a house, our oldest enrolled in her fourth elementary school, we got new cell phone numbers (again), and we went about the task (again) of meeting new neighbors, finding new grocery stores, and getting acclimated to a new culture and climate (living at the far western edge of the time zone means really dark mornings and late evening summer sunsets). The kids started playing basketball (it’s a thing in Indiana) and we settled comfortably into a church family, a neighborhood teeming with children, a wonderful school system, meaningful workplaces, and a new calling for me as a Chaplain with the Indiana Army National Guard. I give thanks to God for the people we’ve met and the places we’ve lived. Hours after becoming homeowners. Carmel, IN. Never in a million years would I have imagined that we would have settled in Indiana. 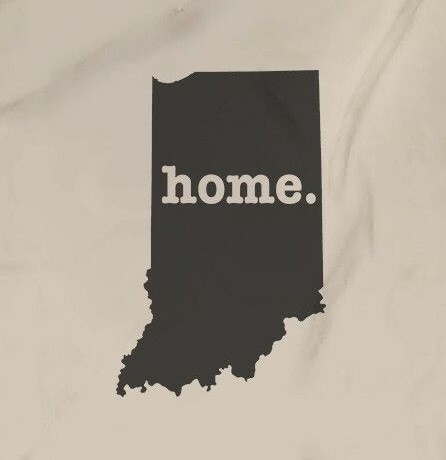 And while my taste buds, penchant for booing at ballgames, and my accent may betray my Philly roots, I am thrilled to be home here in Indiana. I am thrilled that we’re not up and moving again, but instead that my youngest may yet get through his all of his schooling in one school district. I am thrilled that I am serving a church where I can expect to see a generation or more grow in faith. I am thrilled to have raised my right hand and sworn an oath not only to serve our nation but also the State of Indiana. I am thrilled to be home with my family, to have settled in, to be in a place where my kids will grow up, and where Jessicah and I will grow old. Together.